Making no efforts whatsoever to try to fix its damaged reputation as the world’s most prolific purveyor of fake news, CNN has once against decided to marginalize the 65 million-plus Americans who voted for Donald Trump for president. In one of its recent fake news reports, CNN accused everyone who voted for Trump of being a white supremacist, and blamed all of them for the recent events that are said to have taken place in Charlottesville, Virginia. Entitled, “‘White Supremacists by default’: How ordinary people made Charlottesville possible,” CNN’s fake news report claims that people who voted for Trump essentially made it possible for Charlottesville to happen. 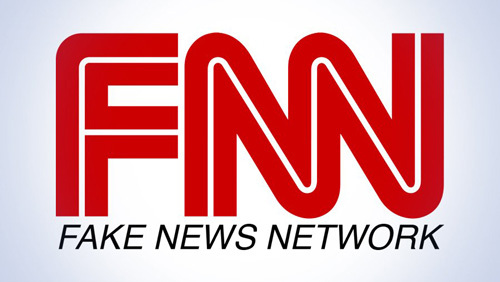 CNN’s John Blake outright blamed Trump supporters for somehow facilitating the violent clash between the alleged neo-Nazi group and a violent “Antifa” collective that descended upon it with clubs, concrete-filled soda pop cans, and other weapons intended to invoke violence – the professional documentary footage of the event that was released just days after bearing all the markings of a staged false flag hoax. It’s one thing to invent news in order to simply boost ratings, which is something that CNN and many other mainstream news outlets have been doing for years. But it’s another to accuse more than half of the voting American public of being white supremacist neo-Nazis who are directly contributing to false flag violence – the lowest road that CNN could possibly take, and yet one that’s not all that surprising, considering that it’s CNN. By definition, this makes CNN a domestic terrorist organization. Its radical leftist, fascist agenda is serving no other purpose than to divide Americans and further destabilize the nation. Rather than promote unity and social cohesion, CNN is stoking the flames of division based on race, political affiliation, and even moral views – a truly evil agenda that can’t be allowed to progress if the Republic stands any chance of survival. It’s no wonder that CNN has aligned itself with other domestic terrorist groups like “Antifa,” which, despite its claims of being anti-fascist, is one of the most influential fascist groups in America today. CNN is also a shameless endorser of Black Lives Matter, another racist organization pushing domestic terrorism and fascism in an effort to destabilize the country and remove Donald Trump from office. Tagged Under: Tags: antifa, CNN, domestic terrorism, Donald Trump, facism, fake news, false-flag, insanity, Libtard, mainstream media, political correctness, political manipulation, propaganda, race wars, White Supremacy?